One morning in Verra, a town nestled into the hillsides of West Virginia, the young Myrthen Bergmann is playing tug-of-war with her twin, when her sister is killed. Unable to accept her own guilt, Myrthen excludes herself from all forms of friendship and affection and begins a twisted, haunted life dedicated to God. Meanwhile, her neighbor Alta Krol longs to be an artist even as her days are taken up caring for her widowed father and siblings. One morning in Verra, a town nestled into the hillsides of West Virginia, the young Myrthen Bergmann is playing tug-of-war with her twin, when her sister is killed. Unable to accept her own guilt, Myrthen excludes herself from all forms of friendship and affection and begins a twisted, haunted life dedicated to God. Meanwhile, her neighbor Alta Krol longs to be an artist even as her days are taken up caring for her widowed father and siblings. Everything changes when Myrthen marries the man Alta loves. Fourteen years later, we meet Lidia, a teenage girl in the same town, and her precocious son, Gabriel. When Gabriel starts telling eerily prescient stories that hint at Verra’s long-buried secrets, it’s not long before the townspeople begin to suspect that the boy harbors evil spirits—an irresistible state of affairs for Myrthen and her obsession with salvation. Chris Cander is a novelist, children’s book author, freelance writer, and teacher for Houston-based Writers in the Schools. Her novel 11 Stories, published by a small press in Houston, was included in Kirkus’s best indie general fiction of 2013. Describe Alta’s relationships with the various men in her life. How are these relationships similar? How are they different? How do they help to shape Alta’s life? How is family depicted in the novel? Is a traditional family something to aspire to, or something to be avoided? Compare what role family serves in the miners’ lives (see page 54) to what John Esposito experiences in his marriage to Myrthen Bergmann. Does Alta find happiness within her family or outside of it? What is the significance of Whisper Hollow for Myrthen? For John and Alta? For Lidia? 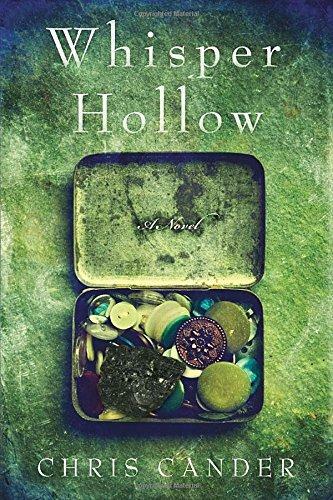 Why do you think the novel is named after Whisper Hollow, and not the town in which the characters live, Verra? On page 307 Alta says, “Whatever truth it is you’re talking about, what good would it do anyone to know it?…People learn to live with their own versions of the truth.” Lidia wonders “if we shouldn’t always be honest.” Who do you think is right? At the end of the novel is it truth or “[people’s] own versions of the truth” that triumphs? How does Myrthen shape the lives of the people in Verra? Do you think she’s the antagonist of the novel? Do you ever feel pity for her? What role does religion play in Myrthen’s life? On page 205 the narrator tells us, “She had prayed very hard, bruised her knees and squeezed her eyes so intently until she no longer saw or even thought of the periphery of her actions.” How does she use religion to deal with guilt? Describe the difference between the guilt that Alta, Myrthen, Lidia, and Stanley feel. What role does confession play in alleviating their guilt? In the novel, is it secular confession or religious confession that offers the most redemption? Myrthen, John, Alta, and Lidia all sometimes feel isolated in Verra. In the novel, what works against isolation?